There are two main ways for the transmission of large quantities of electric energy over long distances: High Voltage Alternating Current (HVAC) and High Voltage Direct Current (HVDC). High Voltage (HV, including here also Extra-High Voltage – EHV – and Ultra-High Voltage – UHV) is considered to cover the range of 35 kV – 800 kV and even beyond this in the future. High voltages allow efficient transmission of large quantities of electric power over long distances. The higher the voltage is, the lower the dissipative losses are. These losses also depend significantly on the type of conductor used, the length and the cross section of the line and the type of current (AC or DC). DC flows through the entire section of the wire while AC tends to flow towards its surface, which causes the skin effect (Fig. 1). This reduces the “effective” cross section and thus increases the resistance and power losses. 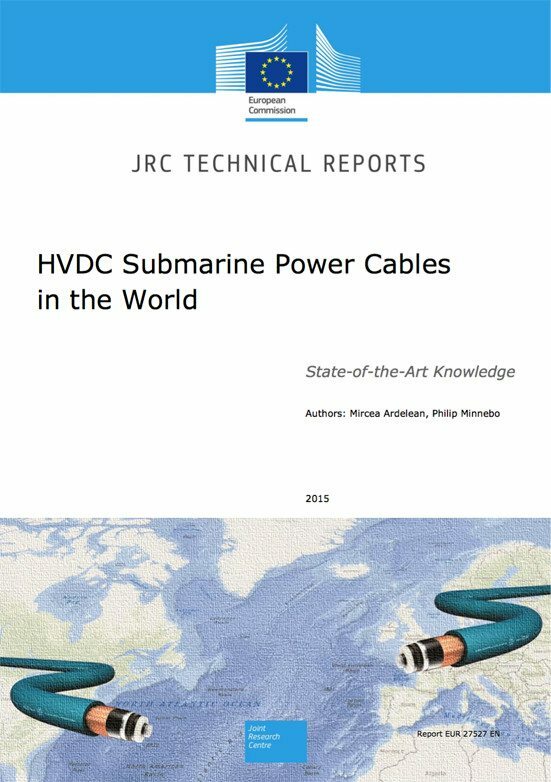 Two examples of HVAC and HVDC cable losses for comparable lengths and voltages are given in Table 1. 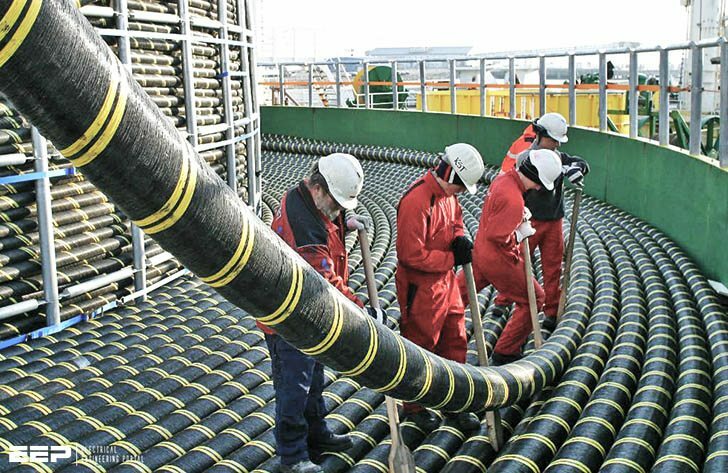 HVDC cables require also less material since they need only one power line in order to transport electricity. An HVAC link needs three power lines to carry the same power. HVDC lines also use less space for their right of way on land in comparison with HVAC lines. The capacitance between the active conductors and the surrounding earth or water restricts the length of the HVAC cables. If the HVAC cable is too long, the reactive power consumed by the cable would absorb the entire current carrying capacity of the conductor and no usable power would be transmitted. As most of the countries developed their own electricity grid the distances that must be covered by transmission were and still are in the range of few hundred kilometres. Larger countries (Canada, United States, Russia, Brazil, and China) developed rather regional systems that can function autonomously but having also interconnections between them. In these cases the bulk transmission of electricity is done using the HVAC technology. Overhead lines are used, which are easier to be integrated into existing grids both for constructive and functional reasons, e.g. link with the distribution network and downgrading the voltage. The DC and later the HVDC technology started to be used in power transmission at the end of the 19th century but only few lines and facilities were built, many of them experimental. The trend continued into the 20th century but only in the ‘70s they gained momentum and became commercially attractive. The improvement of methods and techniques, the advent of new materials and the need to transport electricity over very long distances from large (mainly hydro) power plants to big cities made this technology widespread all over the world, but until 2000 mainly as overhead lines.